The tour begins with a transfer from Florence to our first three-night stay in Renaissance Pienza, the ideal city. Pienza features the fabulous vistas of the Orcia Valley and pici pasta, certainly one of the best in Italy. We’ll visit cantinas in nearby Montalcino and Montepulciano to taste their Brunello and Vino Nobile wines. How about a walk down a 2,500 years old road? We’ll explore ancient Etruscan sites in Sovana and Pitigliano and also at the Etruscan Museum at Cortona. 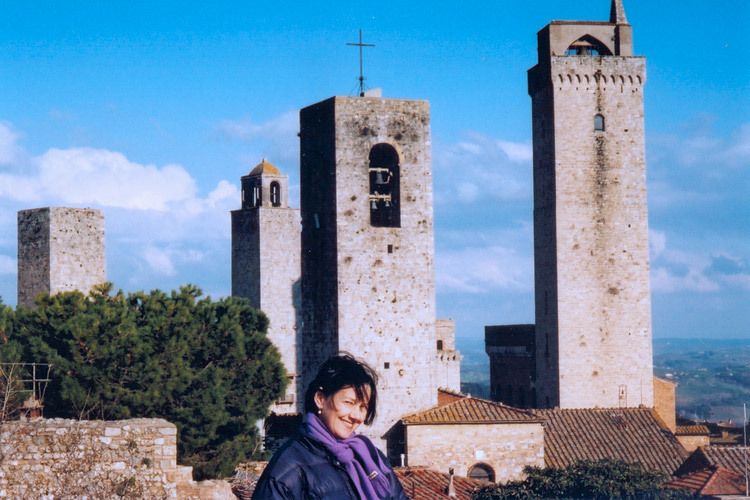 Medieval San Gimignano is known as the city of beautiful towers, featuring lovely evenings and the best gelato. Siena is home to Italy’s most beautiful square, the Piazza del Campo, and an amazing cathedral. To complete our sampling of Tuscan wines we’ll stop by another cantina in Castellina in Chianti. Included also in this tour are Michelangelo’s David at the Accademia Museum and a pre tour exploration of Florence! 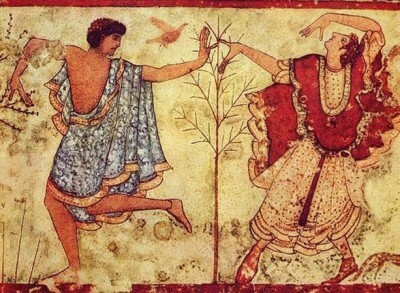 The name Tuscany means “land of the Etruscans“. 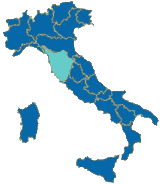 These were the ancient peoples who controlled a large part of the Italian peninsula prior to the rise of the Romans. They were great builders and engineers. Many of their temples and roads and burial chambers can still be seen today. They drained swamps, had indoor plumbing and painted frescos. Etruscan women were allowed to own property and drive chariots. The obvious reason the ancient Etruscans and their successors constructed their towns on hilltops was for defense. Another reason was to avoid lowland swamps and malaria-carrying mosquitoes. The location of the Tuscan hill towns has not changed so be prepared for winding roads and wonderful vistas. Your Tuscan Hill Town tour begins with our afternoon transfer from Florence airport where you’ll be met by your tour manager. Heading south into the heart of Tuscany our first stop is the 13th century walled fortress of Monteriggioni; the ancient hamlet within still retains its original appearance and counts just 42 inhabitants. 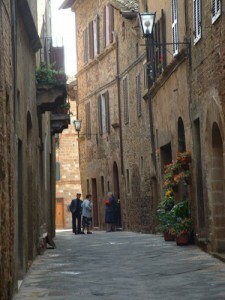 Then we transfer to one of the most charming towns in Italy, Pienza, the Renaissance “ideal city”. Constructed in the latter part of the 15th century at the behest of native son Pope Pius II Pienza overlooks the rolling cypress-lined hills of the stunning Orcia Valley. Our lodging is Hotel Corsignano (3 nights) located just outside the town walls. Introduction to the delicious local cuisine at our welcome dinner. Cortona, one of the original 12 Etruscan city-states, is reputably the oldest continuously inhabited town in Italy. Situated on a commanding hill overlooking Lake Trasimeno, it has cyclopean walls – huge boulders roughly fitted together without mortar – that date back 3,000 years. Cortona was conquered in the 16th century by Florence. We’ll begin our morning with a look at the Medici fortress after which we’ll learn about Cortona’s earliest residents at the Museum of the Etruscan Academy. Winding lanes, medieval squares and great small restaurants await your midday break. Montepulciano, which has its roots in Roman times, is home to grand piazzas, noble palazzos and ancient alleys. After a guided walking tour we’ll complete our visit with a tasting of Vino Nobile wine. This morning we go to the very south of Tuscany passing through mysterious landscapes to visit the tiny town of Sovana and the nearby Archaeological Park where we’ll have a fascinating guided tour of the 2,700 year old Etruscan necropolis and the profound experience of walking along ancient Etruscan roads. 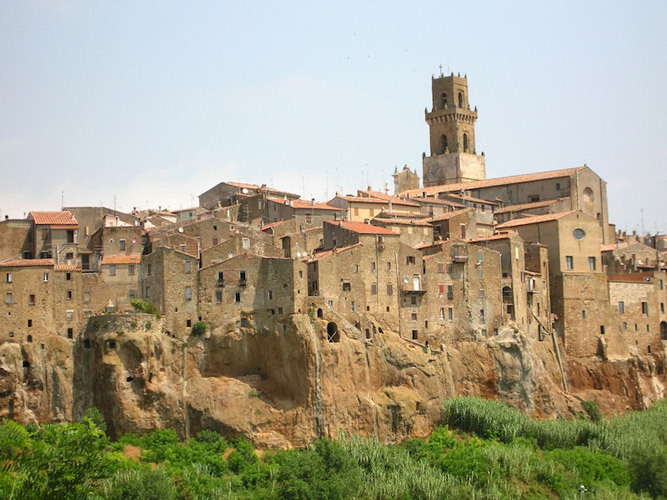 Pitigliano is one of the most unusual towns you can imagine, sitting atop a sheer cliff lined with holes that were once Etruscan tombs and now used as cantinas, stables and storehouses. It has a lovely medieval center with 16th century fortress, massive aqueduct and old Jewish ghetto. An early morning visit to the vineyards and cantina of Il Casato to have a taste of their Brunello wines. Then we’ll take in the hill-town and castle of Montalcino, with some of the most scenic settings on our tour. Afternoon visit to the 9th century abbey St. Antimo, one of the most beautiful Romanesque structures in Italy. San Gimignano, originally an Etruscan settlement, became an important medieval town due to its location along the Francigena Way – the famous pilgrim route from northern Europe to Rome. It’s known as the city of the beautiful towers – once there were 72, now 14. In 1353 it was overpowered by the might of Florence and was forbidden further construction. In addition, the Francigena Way was relocated – diminishing the city’s importance. The result is that, today, San Gimignano retains its same charming 14th century appearance. We’ll be staying at the 13th century Hotel La Cisterna , set in the main square of town. Early morning free in San Gimignano followed by a drive into Chianti wine country. Our first stop is Castellina in Chianti, an attractive hill-town that was once the fortified border between Florence and Siena. It still retains its 15th century defensive look with imposing walls and fortress but these days is more inviting with shops vending wine, olive oil and other local products. 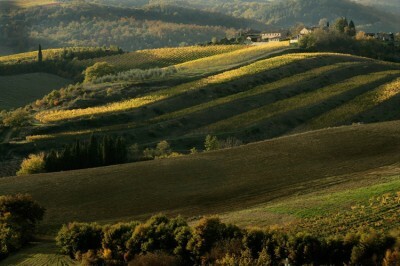 This afternoon we’ll have a guided tour of a local vineyard and taste their Chianti wines. Our last excursion is to the enchanting Gothic city of Siena, home to one of Italy’s most beautiful squares, the Piazza del Campo and a marvelous cathedral. Originally founded as a Roman military colony, Siena flourished during medieval times as an important banking center and was a powerful rival to Florence. In the mid 14th century the Black Death put a halt to cathedral construction as Siena lost 70% of its population. The combined might of Spain and the Medici family put an end to the Republic of Siena in 1559. 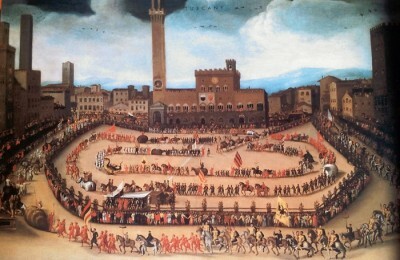 Our local guide will walk us through the contrade (wards) of Siena with an entertaining explanation of their role in contemporary social life and the competition of the famous horse race, the Palio. After which we’ll leave you on your own for shopping, lunch and, perhaps, to climb the 503-step Torre del Mangia. Our San Gimignano farewell dinner restaurant is located in the historic center with stunning views over the valley. Morning transfers to Florence airport, train station & hotels; Pisa airport. Day 1 transfer from Florence airport is at 14:00. Upon request we can transfer you from Pisa airport (morning only) to Florence airport. How to get there: Book round trip tickets into Florence or Pisa airports. Pre tour: We recommend arriving to Florence a day or more prior to tour start. The city center/historic district is just a 10-15 minute taxi ride from the airport. Take advantage of our free Florence city tour including Michelangelo’s David at the Accademia Museum the afternoon prior to tour start. Suggestion: Our May 24-31 Lucca, Genova & Cinque Terre tour fits back to back with the June 1-7 Tuscan Hill Towns tour. Most medieval towns were built as hilltop fortifications, so you will find some of your walking to be uphill. The Day 3 visit to the Necropolis near Sovana includes walking on uneven ground. Be prepared to spend a few hours a day on your feet. This tour is not suited for anyone who has problems with knees, back, heart, obesity or those who cannot manage steps and moderate inclines. Age is not important as long as you are reasonably fit and a good walker. If you have mobility issues this is not the right tour for you. Please call us if you have questions. Transfer from Florence Airport on Day 1 (available only at scheduled time). Morning transfer from Pisa airport to Florence airport available upon request. All ground transportation Days 2 to 6, including tour manager and drivers. Transfers on Day 7 from San Gimignano to Florence airport or train station. 6 nights hotel accommodations with breakfast, 3 dinners including beverages (wine, beer, soft drinks and water). Admissions to all sites visited as a group, as listed in bold in the tour itinerary. The transfers from Florence Peretola airport to our first hotel destination in Pienza on Day 1 will be at 2pm. Most medieval towns were built as hilltop fortifications, so you will find some of your walking to be uphill. Be prepared to spend a few hours a day on your feet. This tour is not suited for anyone who has problems with knees, back, heart, obesity or those who cannot manage steps and moderate inclines. Age is not important as long as you are reasonably fit and a good walker. If you have any difficulty walking this is not the right tour for you. We have space available for one or two singles on each of our tours. They are provided with single-use double rooms. The additional single supplement cost is 300 euros. Please contact us for availability prior to booking.